WHAT IMPACT COULD VR HAVE ON THE CONTEMPORARY ART FAIR? 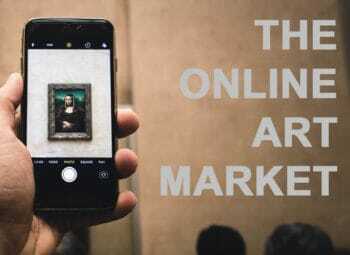 With the art market’s ever-increasing online presence and the rise in new technologies will we see a drastic change in the way we experience a gallery space, exhibition, or an art fair? 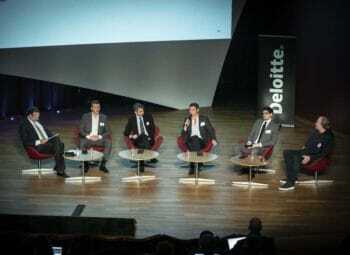 Advances have already been made and the tech boom has provided new methods for artists and organisations to work with. Virtual Reality, otherwise known as VR has the current market value of $11 billion and is projected to grow to $60 billion by 2023. Through a VR headset one can experience something in a strikingly realistic way without setting foot in the actual space being portrayed. Art is personal and through VR you are able to create a highly immersive, interactive and emotional experience, perhaps making it the perfect tool for the art market. The physical realness and infinite possibilities that sensory storytelling virtual reality presents make the technology exciting to the industry and one that has the potential to be adopted by art fairs. Whether it be in a monitored environment or in the comfort of one’s own home, in the future users may be able to navigate their way around a fair via their own avatar and purchase works should they choose to do so. In the past, companies have created virtual galleries and exhibitions whereby users can navigate their way around spaces online. Although these virtual spaces have the element of convenience and reduced cost they are hard to navigate, and the works appear flat. VR offers a semi-reality and something in between the flat online virtual spaces and the real-life art fair. 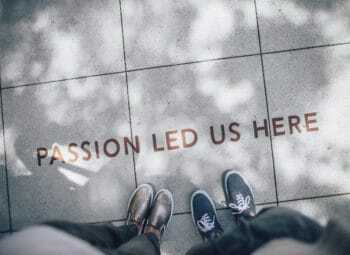 There are currently over 250 art fairs worldwide and they are now viewed as the most successful platform for galleries to connect with wider audiences. As an organisation the art fair’s main objective is to sell space, but at the same time they are also constantly having to reinvent themselves to keep up with art’s fluidity. 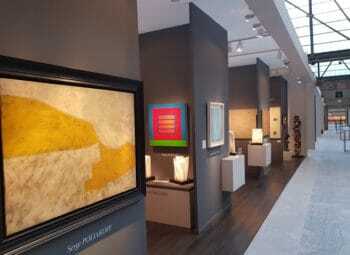 In order to be successful, art fairs have to be a guided experience through the space where attendees can freely exchange ideas as well as view artworks. Fairs are continually growing and are an extremely effective way of buying and selling art, however, they are highly expensive to fund and attend. 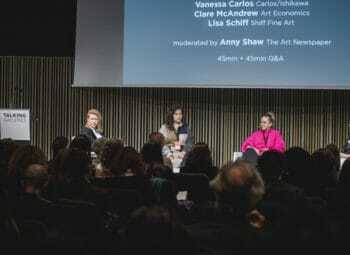 In a recent talk entitled “A New Breed of Art Fairs for a New Generation of Collectors,” organised by Art World Forum, Deborah Harris, Gallery Consultant and Former Deputy Director at The Armory Show spoke about the expense of art fairs. 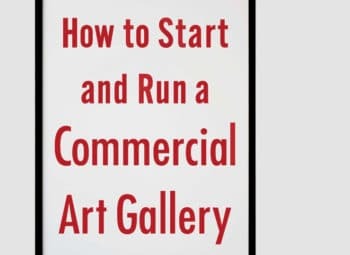 For the public to attend it is typically in excess of £30, whilst galleries are usually charged from £25,000 – 30,000 for the space they occupy. 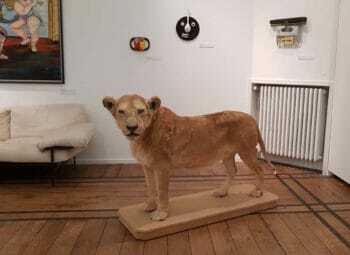 The huge cost presents an obstacle for smaller galleries who may not have the funds or the physical space therefore would want to take advantage of the exposure they could gain at an art fair. Harris suggested that a way to make the experience more profitable for all parties would be to extend the standard 1-week art fair, giving the galleries an opportunity to build stronger relationships and a presence over a longer period of time. Alongside the impermanence of art fairs there is also the issue of time taken up by travel as art fairs take place all over the world. Additionally, art fairs can be seen as unwelcoming, exclusive and an altogether intimidating environment and because of this art organisations like the Armory Show have thought about how to restructure them so that they become more inclusive. Taking these factors into account we have to question whether there will come a time when galleries are no longer willing to pay the expense and, in this case, what will the alternative be? 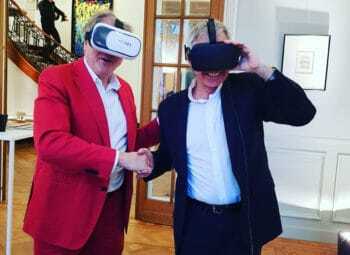 VR has already become a means of artistic expression and Frédéric de Senarclens has speculated whether the art fair will adopt the technology in order to create a new kind of visual experience that may be cheaper and make for a more permanent space. With the technological advances that have been made in the past few years this would now be plausible. 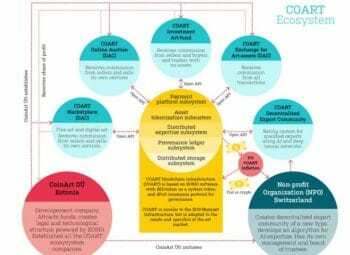 Art organisations and artists are already taking advantage of the medium through which you can control and monitor all aspects of the viewer’s experience. Artists are naturally drawn to the most advanced forms of technologies available to them and at Art Basel Hong Kong both Anish Kapoor and Marina Abramović used the medium. 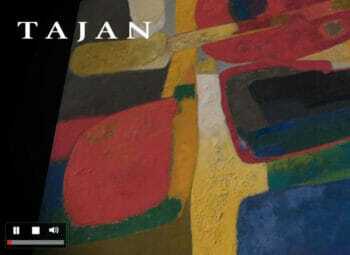 Kapoor’s work titled “Into Yourself, Fall” followed a complex journey through the human body. Whilst Abramović’s work, “Rising” was a polemical piece which conveyed both a moral and educational message on the effects of climate change. The viewer interacts with an avatar of the artist who is shown in a glass tank, the public were then invited to continue their interaction through an app once they left. Both works were produced in collaboration with Acute Art, a VR start-up that launched last autumn with commissions from artist Olafur Eliasson and Jeff Koons among others. Sotheby’s became the first to commission a 360-degree VR art experience of paintings by Dali and Magritte. Whilst New York’s New Museum held a VR exhibition and app which featured works by Rachel Rossin, Jon Rafman and Jacolby Satterwhite presenting the possibilities and drawbacks of working with VR as a medium. Hirshhorn in Washington DC also turned to VR to make Yayoi Kusama’s Infinity Mirrors accessible to wheelchair users. Although VR seems to present endless possibilities there is still a distinct difference between in ‘virtual’ and the ‘real.’ If the art fair was to enter the virtual world would people be able to overcome that barrier. Visitors and galleries value the social networking aspect of an art fair and this could be lost. Currently VR is an insular and quite isolating experience which is primarily used for playing games and watching short films. It does have the potential to become social, however there would need to be steps taken. In current programs you are able to create an avatar of yourself modelled on selfies which have been developed by the software. In order to interact with others, firstly, you need to own a headset and secondly need to be standing by a ‘virtual table.’ Perhaps if VR continues developing and social interaction happens in a more organic way it could be adopted in the future. After all art fairs themselves are a continually evolving model as is VR as a medium. Another consideration would be whether art works shown in their VR form would be devalued in any way. Even though the VR work is simply used as a tool to portray the physical real-life work, would the fact that it could be replicated devalue the original? 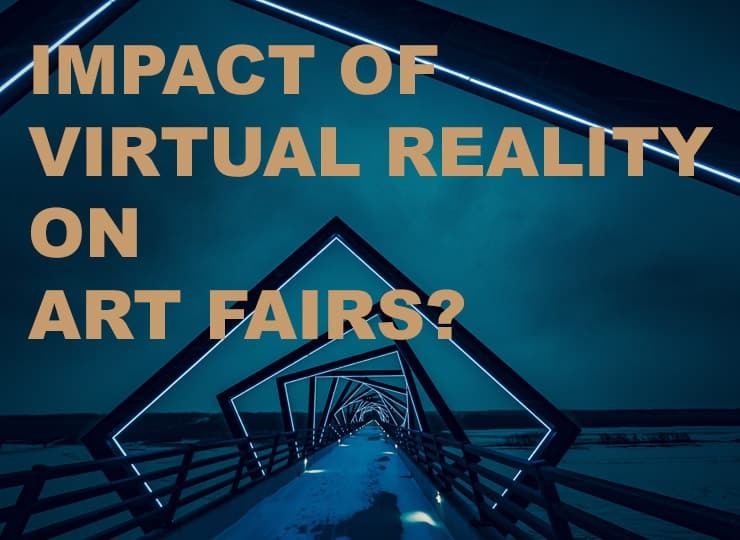 There is also the question of how long it would take to create an art fair in VR along with the art works. Presumably it would take a huge amount of skill and expertise. 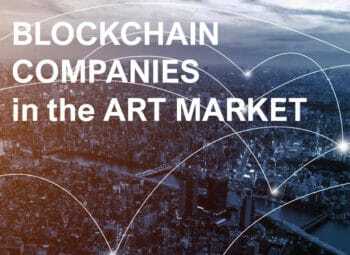 As it seems to be a medium without limits that strives to parallel human life we can only assume that it will develop even further, having had a significant impact on the art market already we will have to wait and see what happens. London-based company that works across Virutal Reality, Augemented Reality and 360 degree videos, available App Store, Google Play, HTC, Viveport and Steam and is used by many artists. Offers Tilt Brush, which allows users to paint a 3D space with VR and Earth VR which allows you to explore the world. Google has also created a low budget cardboard headset. HTC Vive and Oculus Rift are both big players in the art market creating some of the best VR Headsets. An interactive 3D experience that allows viewers to experience an exhibition at any time anywhere.